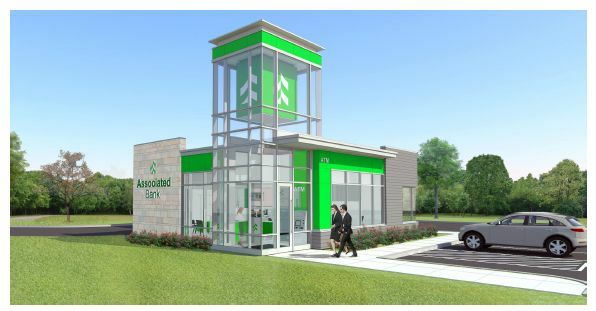 Eagle River, WI – May 15, 2015 – Associated Bank has unveiled plans for a new branch to be located at the intersection of Pine and Railroad Streets in Eagle River. The new branch is targeted for completion in early October of 2015 and will then replace the company’s existing branch on Highway 45 N.
Olejniczak stated that the contemporary new branch operation will create an enhanced banking experience thanks to the blend of traditional branch services together with access to and assistance with popular online banking capabilities. The efficient new 1,600-square-foot branch will feature Associated’s updated brand architecture complete with full service teller lobby and drive-through banking.